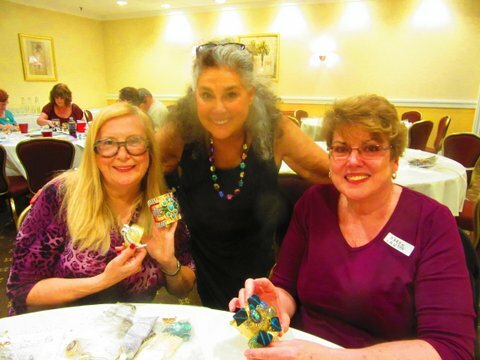 Wendy with two CJCI jewelry making workshop participants and the jewelry they made! 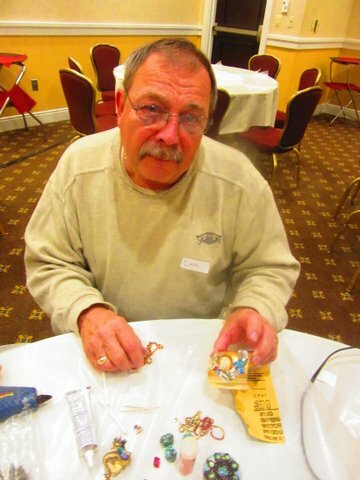 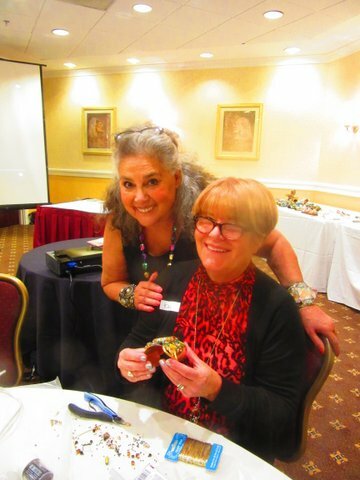 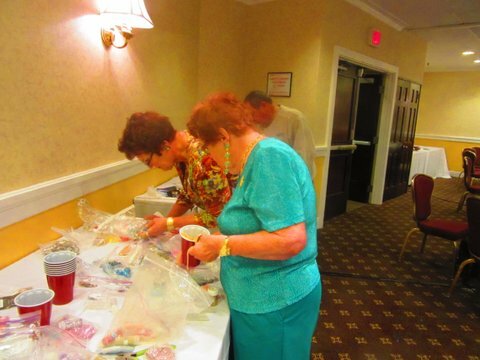 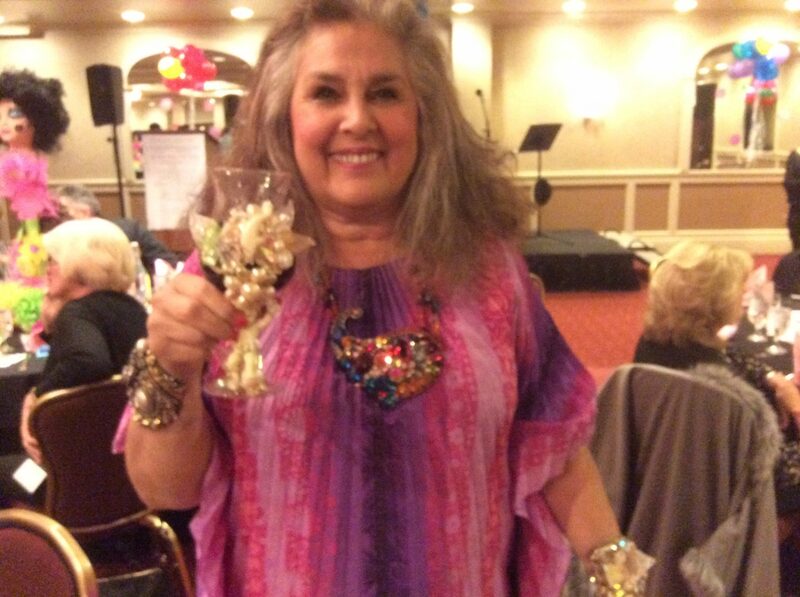 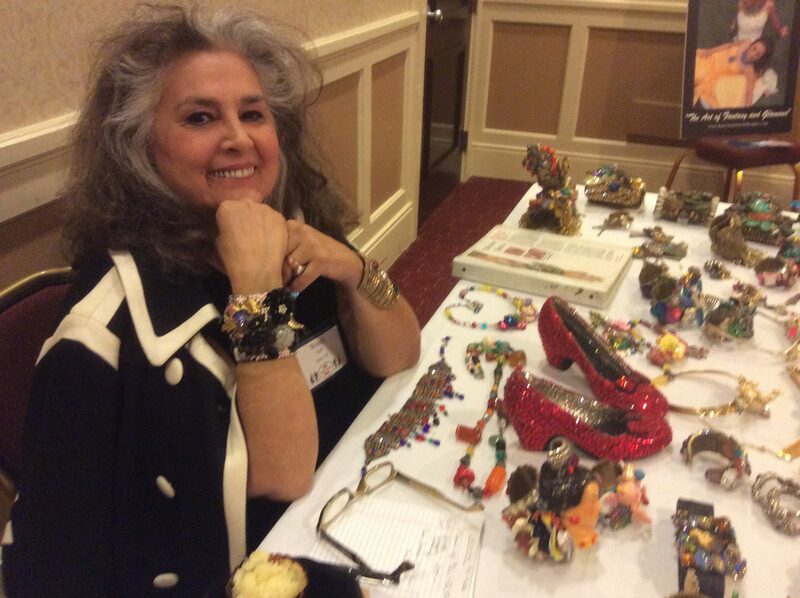 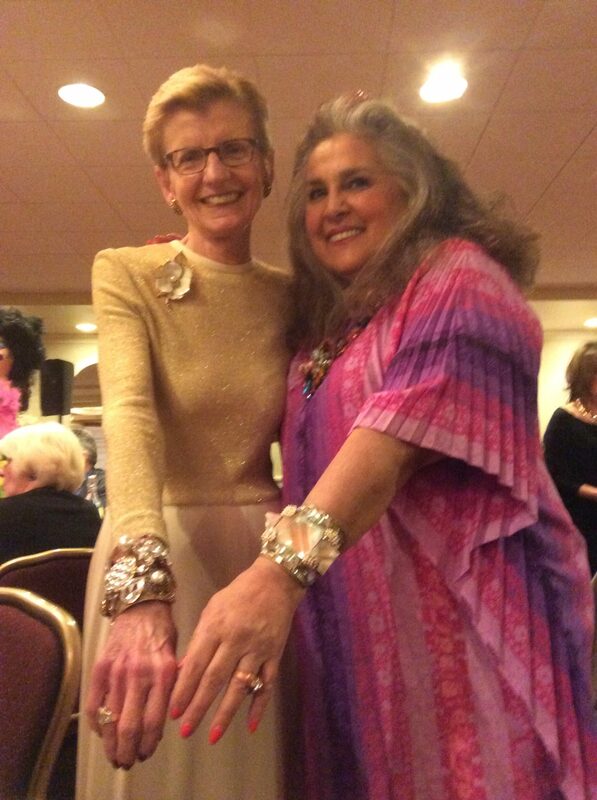 The Costume Jewelry Collectors International invited Wendy to teach her second jewelry making workshop at their annual convention in Providence, Rhode Island this year! 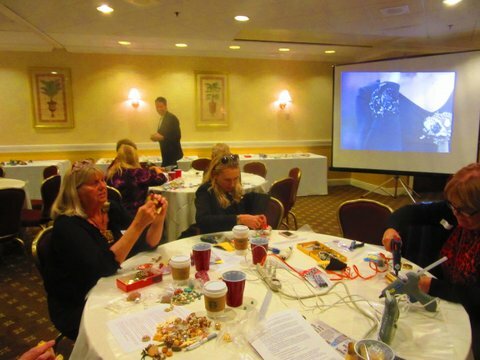 Show here are two of the participants in the 2015 CJCI workshop with the wonderful jewelry pieces they made with Wendy’s instruction.